The vision of the Research and Development Center, with its core inspired by the University’s vision, is committed to the development of the scholarships of faculty through research for the well-being of society and environment. 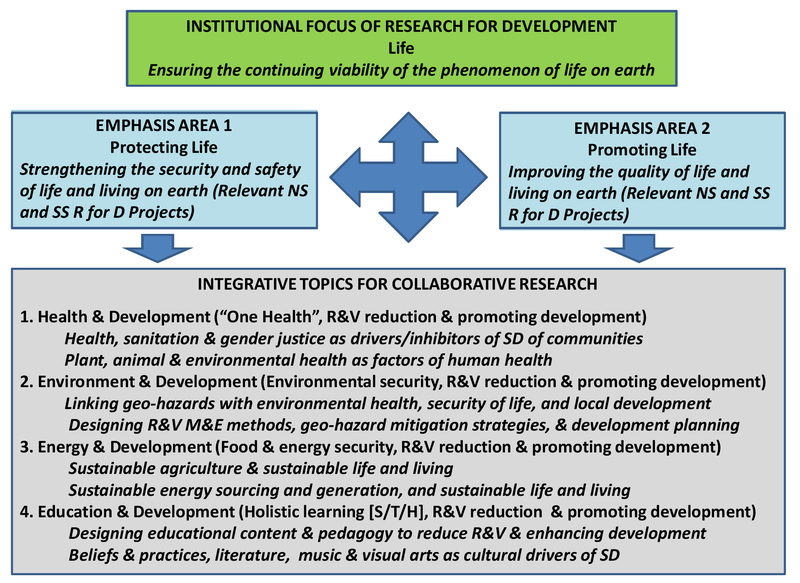 This is reflected in the research framework of Silliman University which is focused on the investigation and pursuit of sustainable development with emphasis on the protection and promotion of life. Thus, the primary mission of the Research and Development Center is to mentor faculty across disciplines on the rigors of writing research proposals, collecting and processing data, writing of research report and publishable research articles in refereed journals from the research projects they undertake with financial support from within and outside of the University. The center is also mandated to offer opportunity and encourage faculty in all academic units to participate in collaborative and interdisciplinary research projects, locally and internationally. resources from within or outside of Silliman University. Research Director on July 16, 2018.